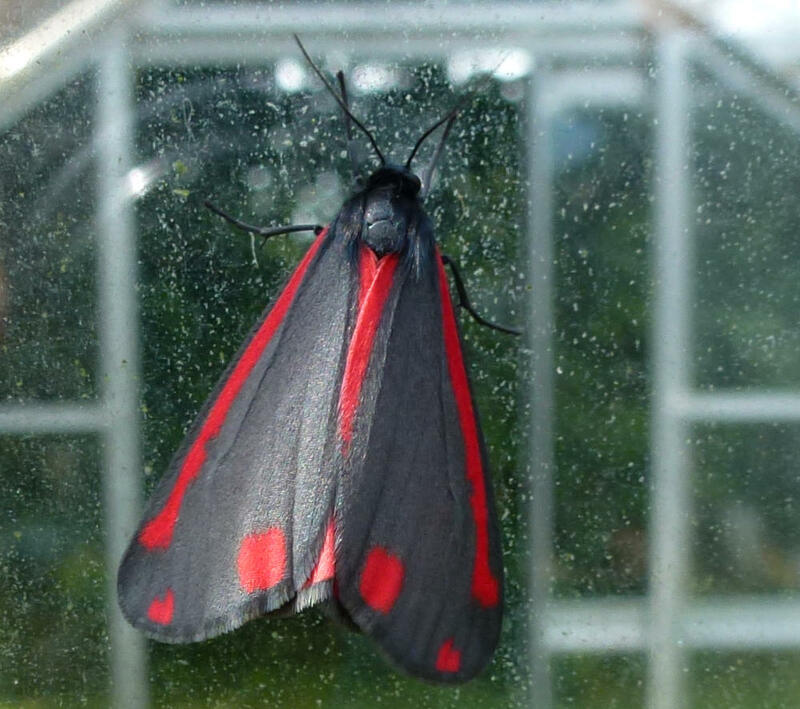 One of the UK’s most distinctive flying insects is the cinnabar moth (Tyria Jacobaeae), it is a daylight flying moth and sports a striking red and black livery. The cinnabar moth (Tyria Jacobaeae) is named after the red mineral cinnabar. Cinnabar moth caterpillars are as striking as their adults having distinctive black and orange hoops around their body. They hatch from late June and are easy to spot as they make no attempt to stay out of sight relying instead on their foul taste to deter would-be predators. The staple diet of the cinnabar moth caterpillar is ragwort, a tall plant with thin green leaves and a yellow daisy like flower. Ragwort is poisonous and the caterpillars absorb the toxins into their bodies as they eat giving them the foul taste that serves as their defence against predation. Cinnabar moth caterpillars are voracious eaters and can strip a ragwort plant very quickly eating not only the leaves but the flowers too. They also eat groundsel but these plants are much smaller than ragwort and will not sustain them for long. This lot have will have this ragwort stripped in no-time. During the summer months you may see their distinctive orange and black bodies wondering across your lawn or patio as they often strike off in search of pastures new when food sources are running low. This is actually a wise move, especially for the smaller individuals, as when food is scarce they are known to cannibalise each other. If desperate they can also be found on domestic garden plants similar to wild ragwort such as dusty miller (silver ragwort) where they seem to head straight for the flowers perhaps finding the leaves unsuitable. Once they have fattened enough the caterpillars will develop into a pupae under leaf litter or just below the surface of the ground. In this relative safety they will over-winter before emerging as adults from May the following year. The cinnabar moth is a striking daytime flying moth. 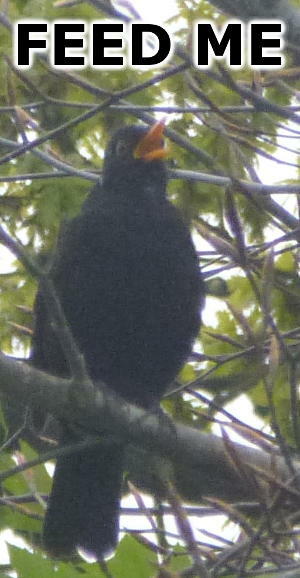 The adults can be see flying during the day throughout the summer during which time they will mate and lay their eggs to start the cycle again. Whilst not currently uncommon their numbers are in decline, a situation that is worsened due to the control of ragwort that is currently taking place in the UK. As mentioned above ragwort is poisonous and can be very bad for domestic livestock causing liver damage and if enough is consumed brain damage and death. Most livestock don’t eat ragwort as they know not to but when mowed and stored in hay the livestock cannot detect it. As a result of this their are measures in place within the UK to control ragwort which has had a negative impact on cinnabar moth numbers.